It’s now all but certain that the ethanol tax credit will expire at the end of the year, and the ethanol producers continue to claim credit for “giving it up” despite that it was obviously lost due to larger political considerations, and the fact that they lobbied initially for its extension and then eventually for a substitute which would have still funneled money into their industry. The tariff on ethanol imports also expires at the end of the year, and is likely to expire, though a bill was just introduced to extend it. 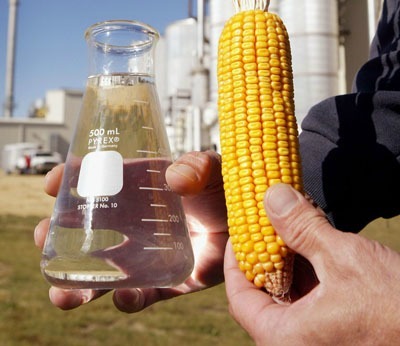 It has no chance of passing through normal legislative means but its not impossible for it to be attached to larger omnibus bills in order to appease ethanol interests. There are a few problems here. First, restrictions on trade are not normally good, but the fact that much of ethanol consumption is due to the renewable fuel standard mandate (and not market forces) complicates things. If imports of sugarcane ethanol are merely going to cut down on corn ethanol consumption/production, then it seems that the removal of the trade barrier would be a neutral/good thing. However, if imports of sugarcane ethanol require that Americans purchase additional ethanol relative to a baseline with the tariff, then an argument could be made for keeping the tariff. There are also other longer term political considerations: if sugarcane ethanol is kept out, the corn ethanol folks might lobby to lift the cap on corn ethanol and allow it to qualify as an advanced biofuel. Or, Congress might scrap the advanced biofuel RFS altogether as cellulosic ethanol is yet to exist. Yesterday a diverse coalition of hunger and development organizations, agriculture groups, budget hawks, free marketers and environmental groups called on the Senate Committee on the Environment and Public Works to hold hearings on the impacts of the Renewable Fuel Standard. A number of studies have recently been released criticizing the Renewable Fuel Standard for damaging the environment and increasing food price volatility, while a scandal involving fake credits has brought the Renewable Fuel Standard’s compliance system into question by the EPA and industry alike. CEI has signed onto this letter along with groups like Friends of the Earth, Greenpeace, Americans for Tax Reform, ActionAid USA, Oxfam America, and a number of industry groups. Naturally, the ethanol industry countered with their own letter. We hope that the Senate Committee on the Environment and Public Works will consider a hearing on whether it might be a good idea to stop the RFS in its place or perhaps remove it entirely and allow more efficient market based policies to govern our liquid transportation fuel sector.